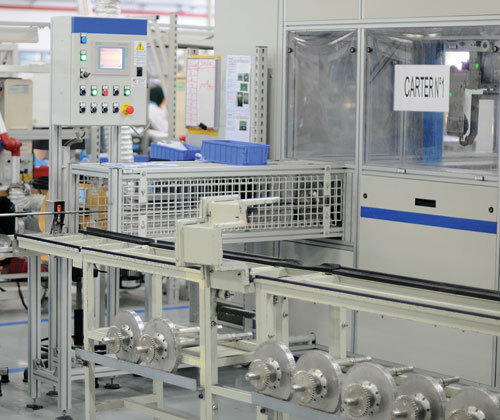 To ensure the highest performance, SOURIAU - SUNBANK Connection Technologies performs surface finish operations to all our manufactured parts before the final operation. 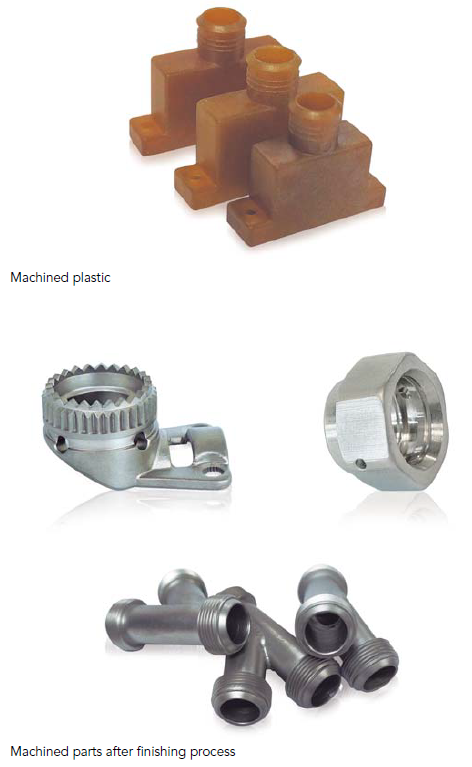 These various operations are performed to improve surface finish after die cast, machining and weldings. 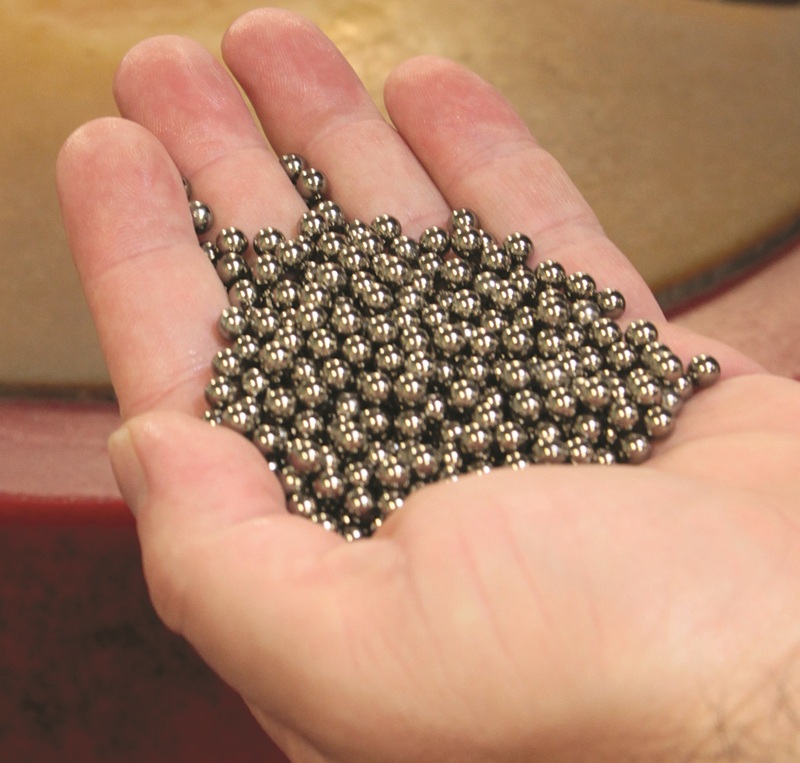 Abrasive blasting is achieved by propelling a high pressurized stream of grit material against rough areas to remove any imperfections and contaminants and leave a smooth surface. 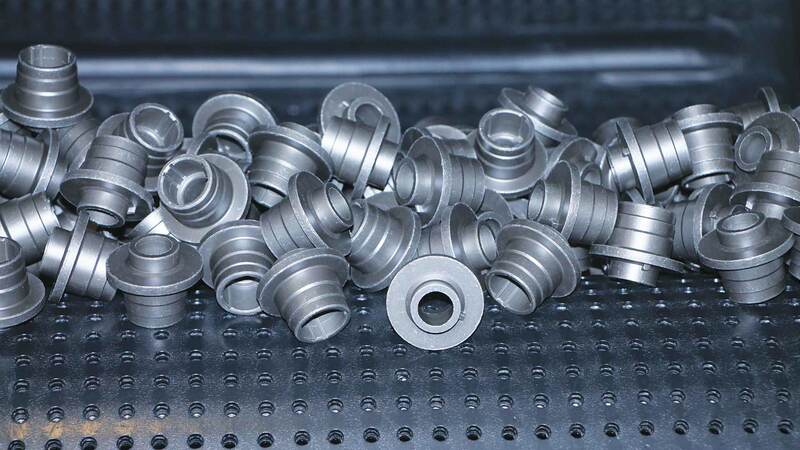 Conventional deburring processes are performed to eliminate sharp edges and burrs by using vibratory finishing machines. This equipment offers others advantages such as brightening, smoothing, removing welding discoloration and surface cleaning. Parts are placed inside a tank filled with media while a simultaneous vibrating and rotating motion scrubs the parts to deburr, polish and finish. 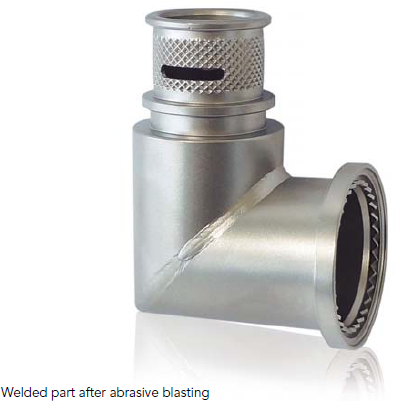 Post weld heat treatment reduces and redistributes the residual stress in a material that has been welded. 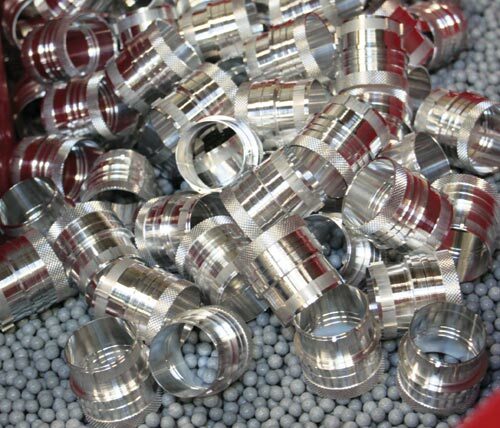 Its is achieved by exposing the part at high temperatures for a certain amount of time.